Companies need to remember that customer experience is an ongoing process. Feedback should not only be gathered on an ongoing basis, but should be acted upon to continually improve customer satisfaction. Photo courtesy of GPS Insight. 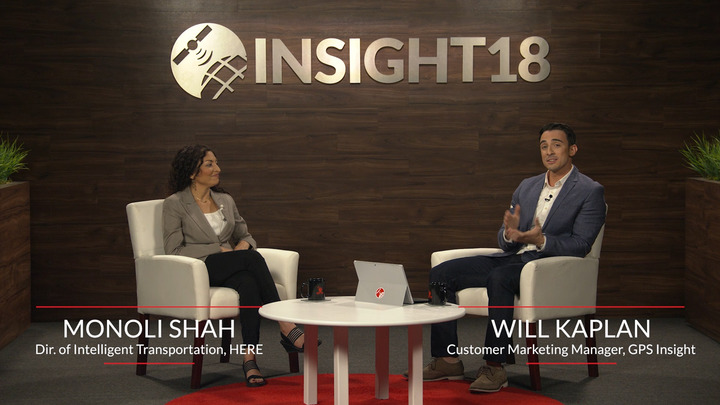 GPS Insight held its second annual User Conference Oct. 4, with company executives and other industry experts focusing on an array of topics, including improving customer experience, increasing cybersecurity, and telematics. 80% of customers say that the experience a company provides is as important as its products or services. 75% of brand perception results from customer experience. You’re no longer only competing with your direct competitors, but with major brands like Uber and Amazon. Will Kaplan, customer marketing manager at GPS Insight, focused his session on how companies can strengthen their customer experience, something that companies that want to stay ahead of their competitors must seriously take into account. He recommends face-to-face interactions with customers to gain feedback, leveraging collected data to improve the customer experience, and continually repeating the process to ensure that as customer needs continually evolve, so does the company. Make complex passwords for all websites used. Do not save credit card information on a website. Do not save your passwords on your browser. Do not open emails from untrusted sources. Do not give offers from strangers the benefit of the doubt. Lock you computers and mobile phones when away from your desk. In today’s ever connected world, protecting your business and personal information is more important than ever. Another theme from the conference focused on the importance of becoming a customer-centric organization, as companies in the service sector that want to remain ahead of the competition need to continually evolve to be modern and user friendly. In order to understand what your customers want, the best thing to do is to ask them. Retrieving firsthand data from customers is imperative to developing an improvement strategy. After identifying a strategy, it’s vital to align employees, processes, and technology. All employees, from the top down, need to agree on what changes are going to be made, why they’re being made, how they’re going to change, and how technology will play into it.